Rulers for quilting can be tricky! There are so many out there. Really. There are a lot!!! I sometimes get all caught up on the quilt ruler hype and then end up with these piles of rulers that I hardly ever touch. The best is when the ruler has never been used, or you can’t remember how to use it! 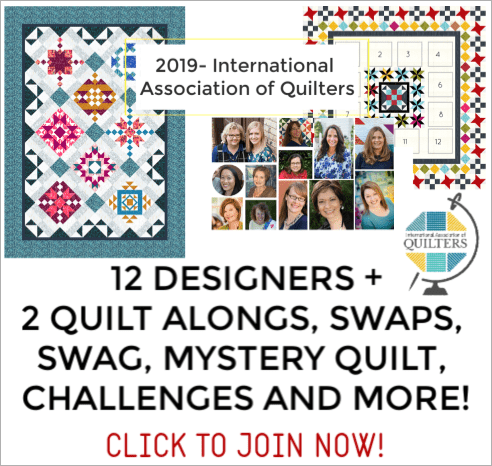 After looking over my pile of rulers, I’ve decided that there are 5 quilt rulers that everyone who is quilting should have. They are my go to rulers. 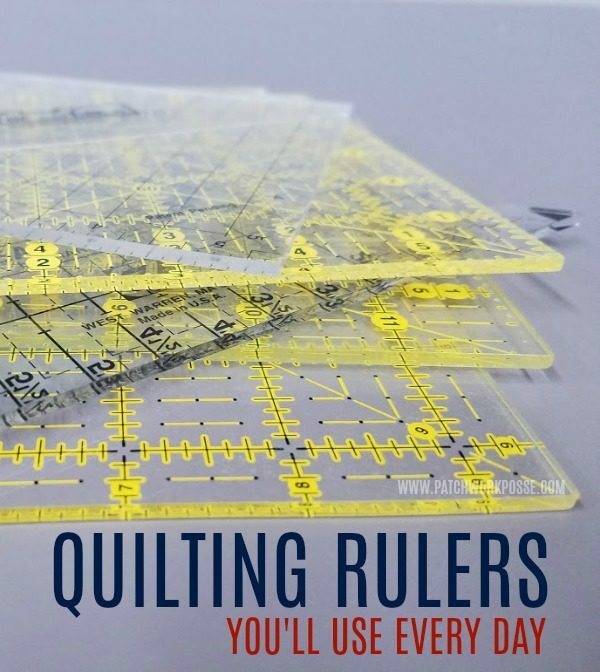 When you are just beginning quilting, I suggest you only get the basic rulers. Don’t go crazy and pick up all the fancy ones you see. Over time, you’ll find out which ones you really will enjoy and want. Plus, if you have friends that sew as well- check out their ruler pile. Ask to try it out before you buy. This is the best way to find out if you actually will use it or not. 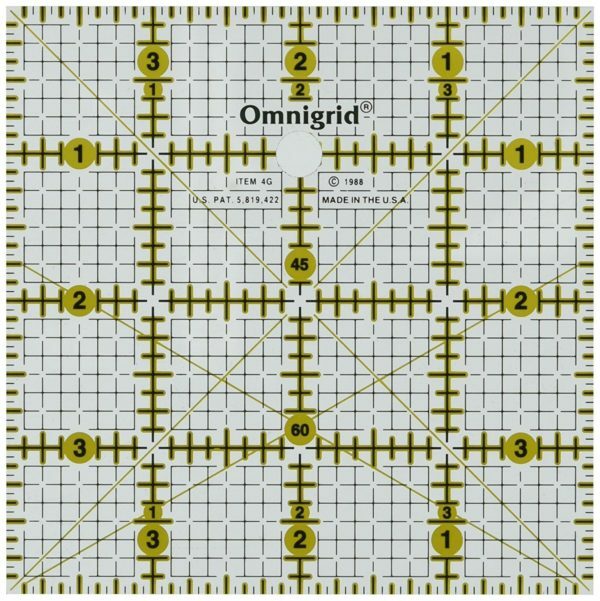 So, here they are: 5 of my favorite Quilting Rulers – I use these every time I sew! This is my all time go-to ruler. I use it all the time. I pack it around and take it with me everywhere. I seriously LOVE this ruler!!! It’s large enough to measure and cut pretty much any size of fabric strips. 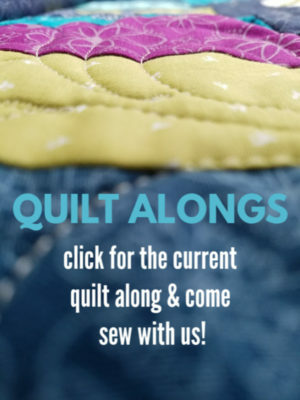 Typically I’m using fat quarters or smaller pieces of fabric. This works great for those! The 12″ side allows for squaring up or trimming longer strips. You will have to move it a bit when cutting a longer strip, but it’s not that big of a deal. 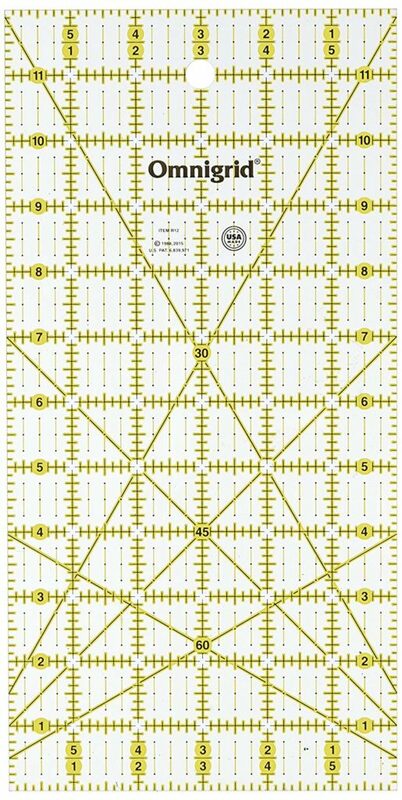 This is the ultimate ruler for squaring up quilt blocks. You’ll notice that this one has a side that is 12 1/2″. It looks a little weird, but it’s great for adding that seam allowance on that large 12″ block! You can easily use this for squaring up or cutting squares and rectangles of ANY size smaller than the 12″. 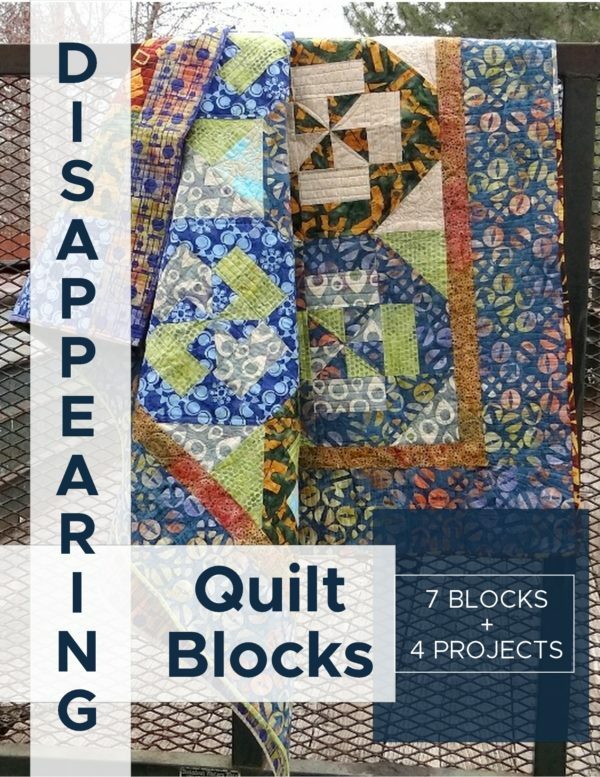 This one might not get used every day, but when finishing up quilt blocks, it is sooo handy! This is a smaller version of the 12″ ruler. It’s great for trimming and squaring up and cutting squares in the 4″ size. The larger ruler is a little overboard when you are trying to do some smaller cuts. This size is perfect for those occasions and handling the ruler is easy and it doesn’t get in the way. This is great for taking on sewing days with friends or packing around. I also keep this one by my machine so I can quickly trim on a smaller cutting mat. It doesn’t need much space. 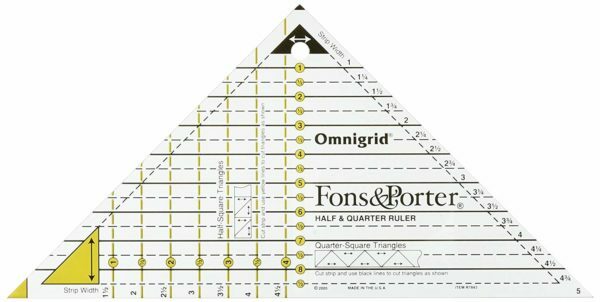 If you are every sewing half square triangles…this quilt ruler really is a must! I use this specific one A LOT! Because it’s 6″ in size, I can easily use it for squaring up blocks any size smaller. The company does offer additional sizes, but I find this one works just fine. It would be nice to have the whole collection of sizes…but I haven’t picked any others up. 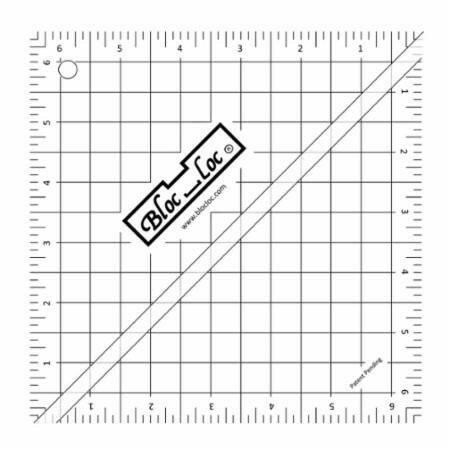 The difference between this one and the other square ruler is that the Bloc-loc has a channel in the ruler. The channel allows the seam allowance of the half square triangle to nestle inside so you can trim it perfectly every time. It does take a bit of time to get the hang of using it, flipping it and aligning it- but once you do, you will love it! 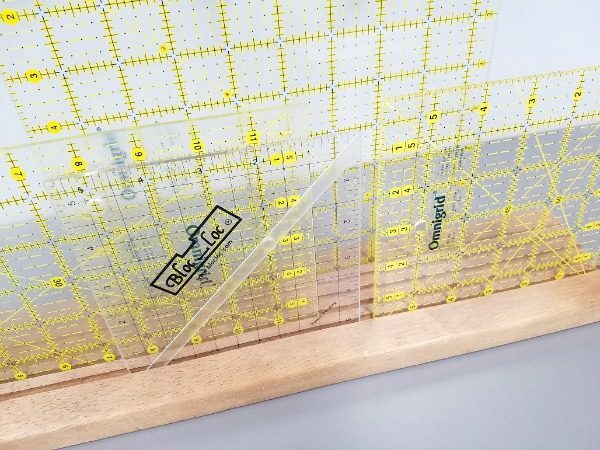 You will want to give this ruler a try! It will help you make perfect flying geese- and half square triangles. The best part about it– it does all the math for you! All you need to know is the finished flying geese size…and then you’ll cut your strips using the length it gives you. Easy to read, easy to use. It comes with instructions as well, just in case. You’ll find it very accurate with no to little waste of fabric. No dog ears and large bulky seams either! 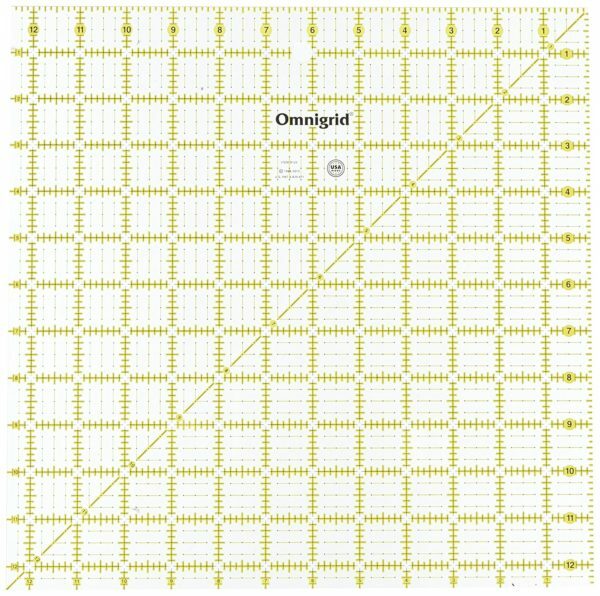 You may have noticed that my rulers are from Omnigrid. That is who I tend to buy– because of color and the style of the measurements and lines. Check out a few other brands as there are many to choose from. You’ll notice that you will like using one color more than another, or one measurement style more than another. Just be aware there is more than one style and color out there. Explore the options and try a few out. I really thought I would like the contrast of the pink lines…turns out, I don’t. Now I know! Have a lot of rulers? Learn how you can store and organize them in your sewing room here. Ready to explore templates or specialty rulers? Check them out here. 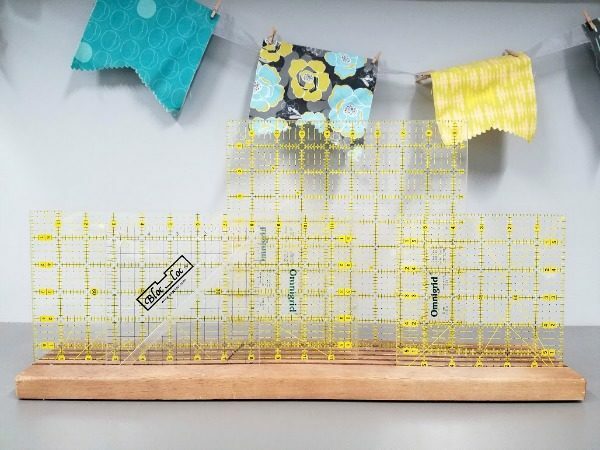 Do you have a favorite quilt ruler that you use all the time? Oh, yes, I have my fair share of rulers that I’ve never used or don’t remember what they are for. Most were purchased for a class. I do have favorites though. I love my Quilt in a Day 6 1/2″ Triangle Square Up ruler. It makes trimming HSTs a breeze. You don’t have to open them to do the trim and they are always perfect. I haven’t used my Bloc Loc since I acquired it. 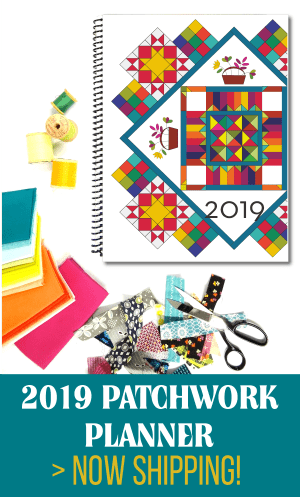 The other one I love is the Creative Grids 4 1/2″ because it doesn’t slide, the markings are easy to read and it made trimming my quarter square triangle blocks a pleasure instead of a hassel.